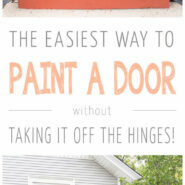 Home > Projects > DIY > How To Paint A Door The Easy Way! 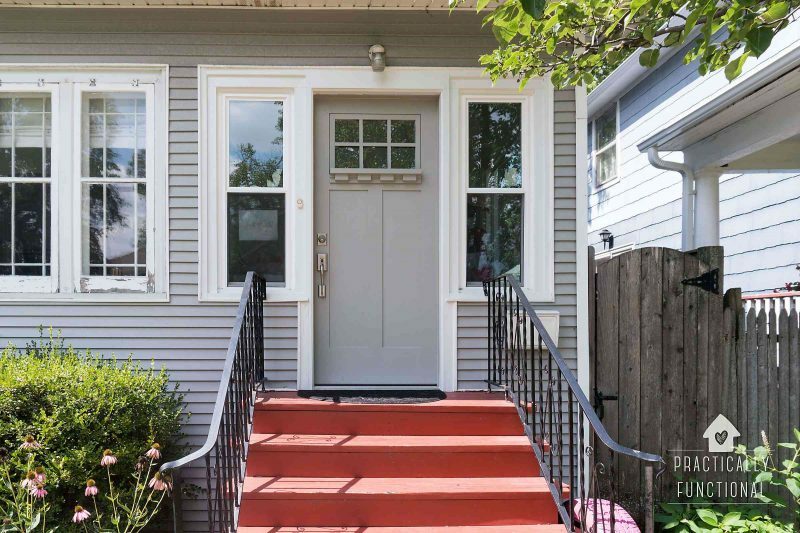 As part of our curb appeal makeover, we removed the solid glass storm door and replaced it with an actual front door that allowed us a little more privacy. The door didn’t come in a lot of color options, so we opted for a plain grey color that was pretty similar to the color of our house. But it turned out it was too similar, and boring. So I decided to add a fun pop of color to the front of our house by painting the front door! 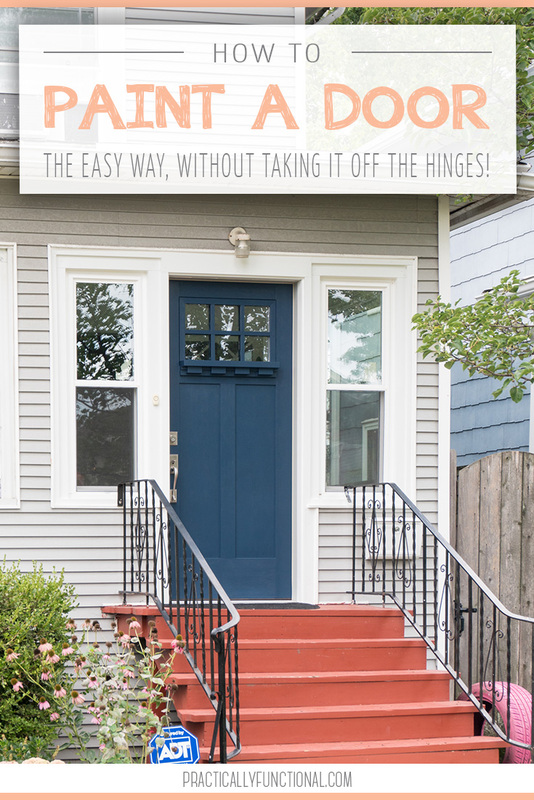 Today I’m going to share how to paint a door the easy way; you don’t need to take it off the hinges, remove the hardware, or anything! 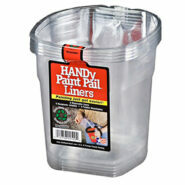 You can paint right out of the jar if you wish, but I love these little HANDy paint pails. 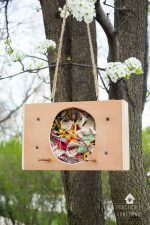 They have a flexible strap so you can slide your hand in and hold it with only one hand, and there is also a strong magnet on the inside to hold your brush so you don’t need to set it down somewhere. 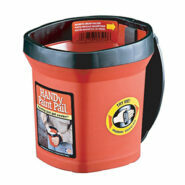 They also make disposable liners that fit inside the cup, which I love, because cleaning up after a paint job is the worst; way better when you can just toss the liner! 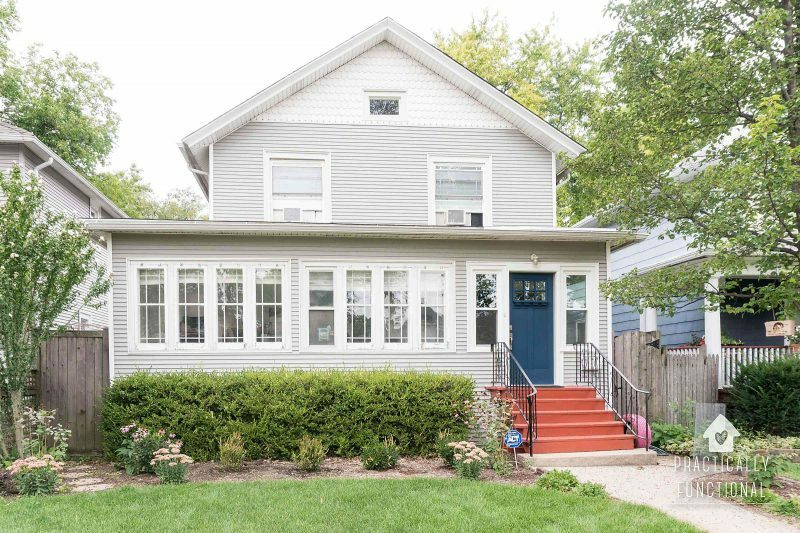 Here’s what the front of our house looked like before we painted the door. 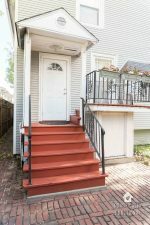 We had already Modern Masters’ Front Door Paint, installed new landscaping, and had the entryway closed off and insulated with new windows and a new door as part of our curb appeal makeover. 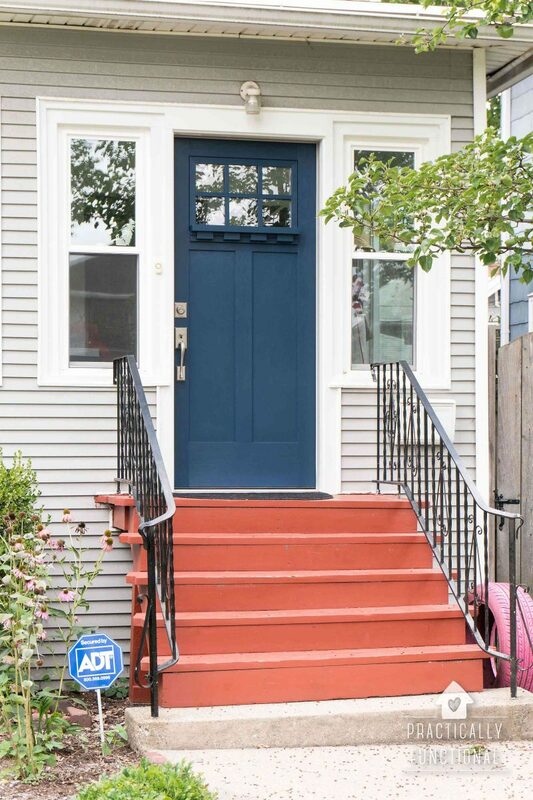 But after living with it for a while, the door color was too similar to the house color, so we decided to paint it. The first thing you need to do is figure out when you’re going to paint the door. The door will need to be left open while you’re painting and while it’s drying, so pick a day that isn’t too hot or cold, or too windy. 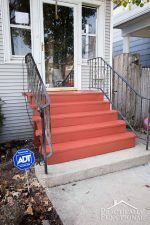 You’ll want to do two coats, and it will take a few hours between each coat for the paint to dry, so it’s best to start this project first thing in the morning. You also want to check the weather and ensure there’s no rain in the forecast for the next day or two (or if it will rain, make sure your door is protected by an awning or something so your paint job doesn’t get wet). My mom was out here for a week, and the weather was super nice, so we decided to paint the door while she was here. Plus she likes painting, so it was nice to have help! You also need to know what type of paint is already on your door. If it’s latex, you can paint right over it. If it’s oil-based, or if the door is brand new and unpainted, you’ll need to do a coat of primer first so the paint has something to stick to. The best way to tell what kind of paint is on your front door is to dip a q-tip in rubbing alcohol, and rub it back and forth over a painted area of your door. If any paint comes off, it’s latex paint and you can just put your new color right on top of the original color. 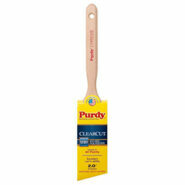 Just wash the door with a rag and clean water to remove any dust before you start painting. 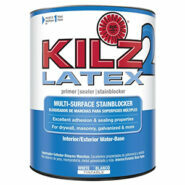 If no paint comes off, it’s oil-based paint, and you need to do a coat of oil-based primer first. 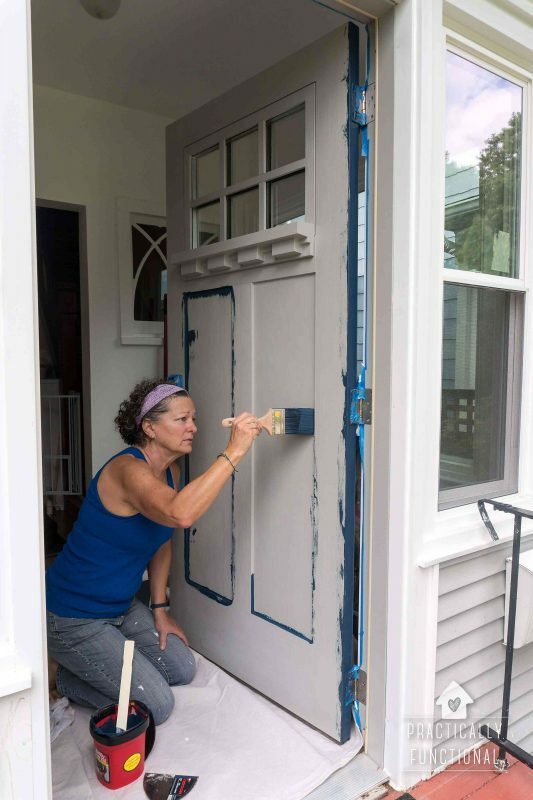 In order to paint your door without taking it off the hinges or removing the hardware, you need to cover those metal pieces up to protect them from the paint. The best way to do this is with aluminum foil and painters tape. 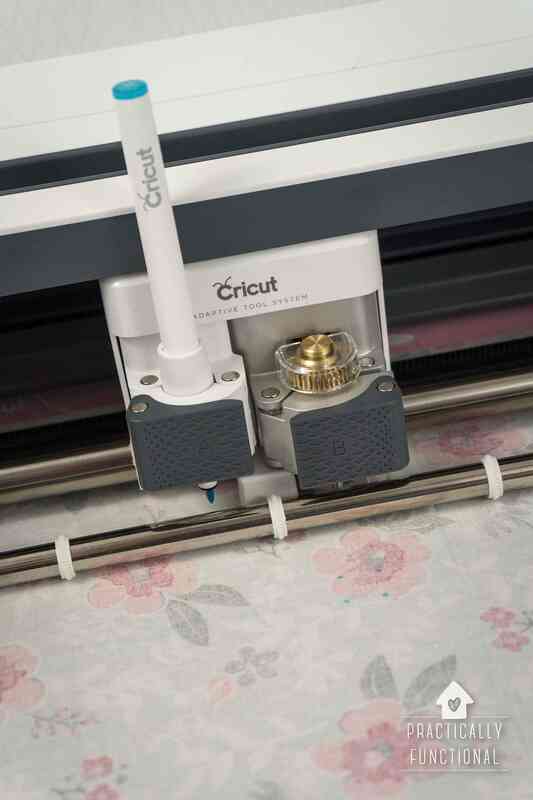 Cover larger pieces, like door handles, with aluminum foil, then use a piece of painter’s tape right around the edge where the hardware meets the door to secure the foil and give you a crisp, clean line. 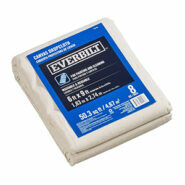 Use painter’s tape to cover any other areas like hinges, deadbolts, etc. You can also use painter’s tape to tape off any windows if your door isn’t solid. 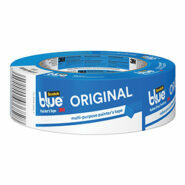 Once everything is taped off, you’re ready to paint! 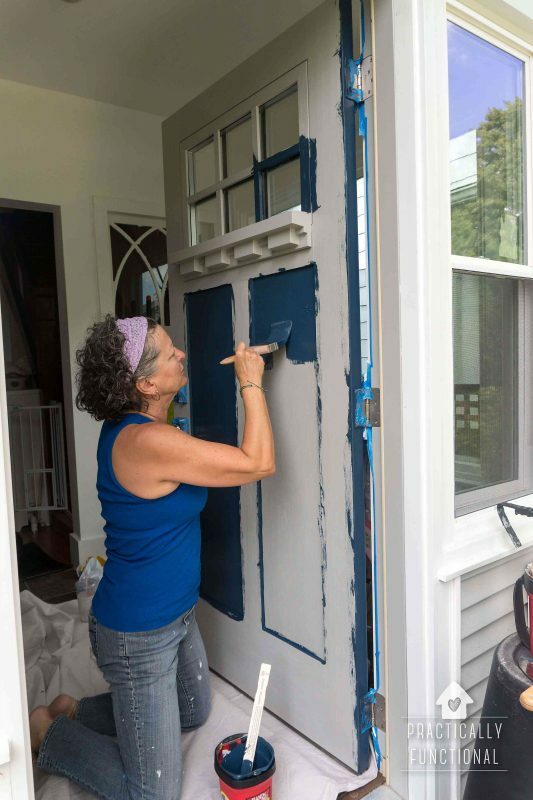 Just one quick note: latex paint dries pretty fast, so it’s best to paint the sections of your door in a very specific order so that you don’t end up with brush strokes in weird places. And make sure that you clean up any drips or blobs of paint as you go so that they don’t dry on your door! The edges of your door should be painted first so they have the longest time to dry. If you are only painting the outside of your door, you only want to paint the edge that will be visible when the door is open. Leave the other edge unpainted so it matches the inside of the door. If your door swings inward, paint the hinge edge; if your door swings outward, paint the edge with the latch. 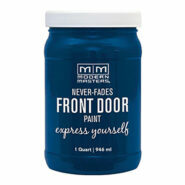 If you are painting both the inside and outside of your front door, paint both edges. If your door has raised or sunken panels, you’ll want to paint the reveals next (the little molded edges around all of the panels). Once the reveals have been painted, paint the panels themselves using up and down brush strokes. We have a little shelf on the front of our door, so we painted that next after the panels. If you have any decorative areas of your door besides panels, paint them now. Next, paint the horizontal cross pieces. Start at the top of the door and paint from left to right, then continue on down the door until you’re painting the very bottom part of the door. 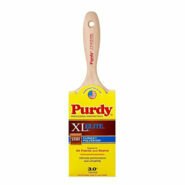 There is usually weatherstripping at the bottom of the door, so be careful not to paint the rubber. Paint all of the vertical pieces last, starting with any in the middle of the door and doing the very left and right sides of the door last. 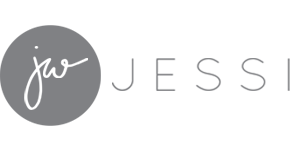 Try to do the entire vertical piece in one long brush stroke if you can, so that the brush marks are straight and uninterrupted. Your vertical brush strokes should cover the ends of all of the horizontal brush strokes you just painted in the last step, so that you end up with nice, clean lines. And you’re done with the first coat! Wait about an hour, then repeat the process for the second coat. Wait about 2-3 hours after the second coat to allow it to fully dry, then you can remove all of the tape and close the door, and you’re done! Quick note: We painted a dark blue over a light grey, so two coats was definitely enough coverage. But if you’re painting a lighter color over a darker color, you may want to do three coats for full coverage. 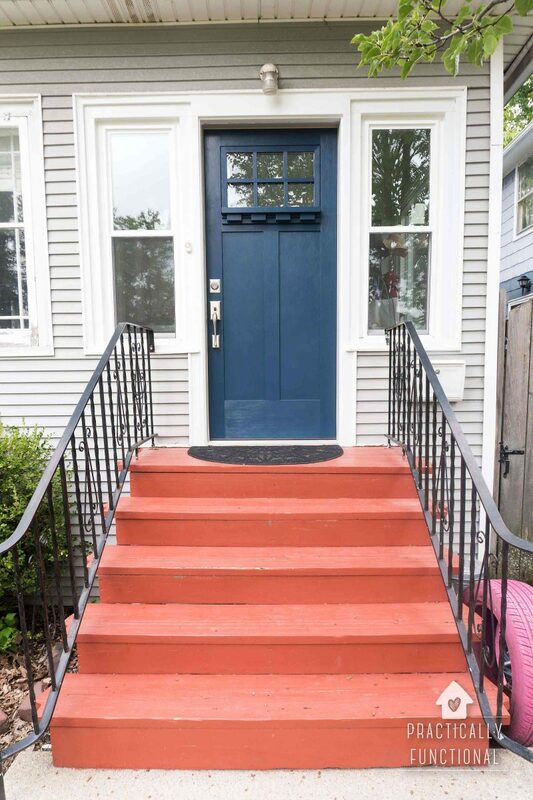 But we did two coats on both the inside and the outside of the door, and we still had about 1/3 of the jar of paint leftover, so if you use Modern Masters Front Door Paint, you will definitely have enough paint with just one quart!